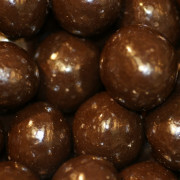 Large macadamia nuts coated in rich and decadent dark chocolate! Sure to please! 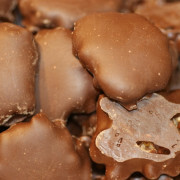 This great mix includes a fantastic variety. 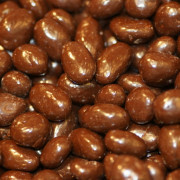 Raisins, peanuts, almonds, malted milk balls and cashews all covered in rich, dark chocolate. 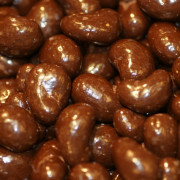 Premium cashews covered in high quality dark chocolate! Perfect combination. 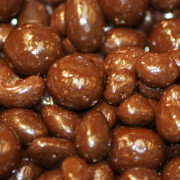 Decadent dark chocolate covers these sweet raisins! 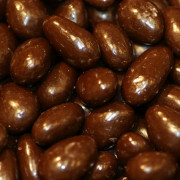 Almonds gently covered in delicious and smooth dark chocolate. 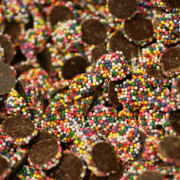 The classic dark chocolate nonpareil in a cute mini size. 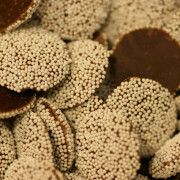 These nonpareils are the perfect combination of chocolate and crunchy white sprinkles. A favorite of movie-goers for over 50 years!